An intriguing story until it isn’t. A likable apocalyptic vision until convention overtakes invention. And a well acted family drama before that disastrous third act twist, The Silence is one of those rare instances where a film actually benefits from being predated by something so eerily similar. Most people I know who saw last Summer’s surprise hit A Quiet Place recognize the film’s greatness, from its familial dynamics to the picture’s ability to supplement silent tension with sublime emotions. 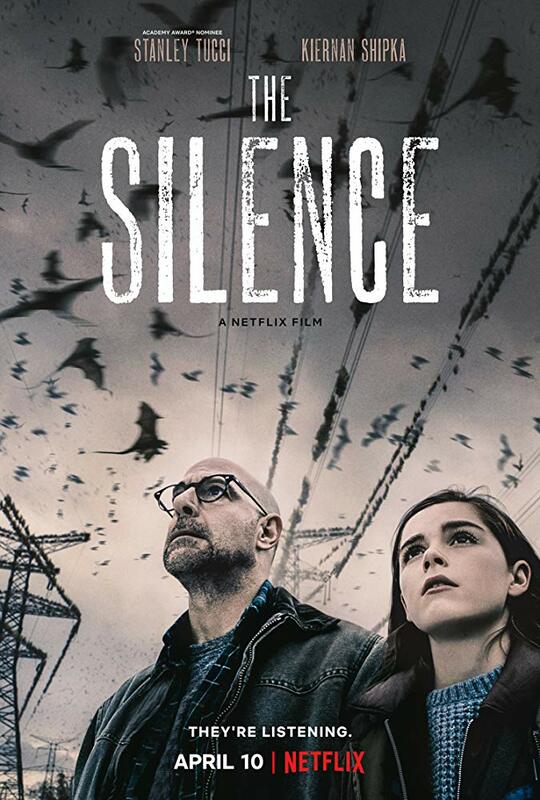 The Silence isn’t a prequel to that movie, nor do they exist in the same timeline, but this one is undeniably enriched by that earlier film, one which shares an alternate and more sensitive universe. 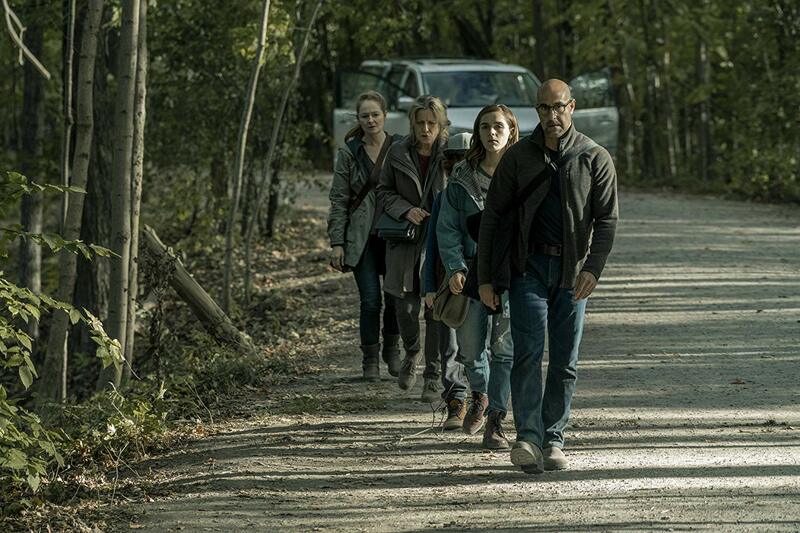 Knowing the specificity of A Quiet Place actually helps the ambiguity of The Silence, making it into a decent, albeit less inspired prologue to John Krasinki’s 2018 picture. A Quiet Place starts where The Silence ends, to greater effect, showing us how this family might have ended up in such dire straits in the first place. The script almost comes across as coincidental fan fiction in that way. Here we follow the Andrews clan, written with little personality but acted with enough vigor to get the job done. 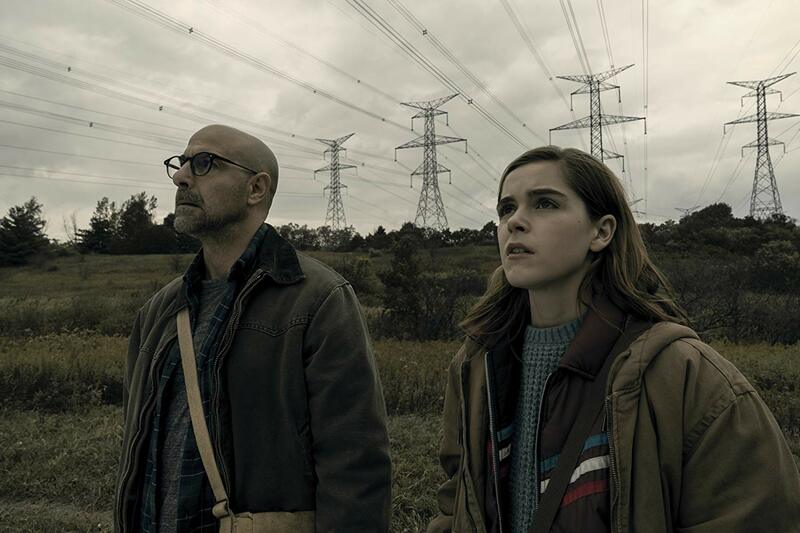 Parents Hugh (Stanley Tucci, playing a believable, badass Dad) and Kelly (Miranda Otto) guide the ship while their eldest Ally (Kiernan Shipka), who recently lost her hearing in a car accident, helps them parent their youngest named Jude (Kyle Breitkopf). The widowed and sick Grandma Lynn (Kate Trotter) resides with the family, hiding her cigarette smoking from the heads of the house. Uncle Glenn (John Corbett), not related by blood but through familiarity and time-tested friendship with Hugh – I have many “Uncles” like him, and oftentimes they’re even more relatable than those I’m related to – lives close by. They’re all together when it happens. Big, bustling cities are hit first. Part of me even thinks all of the empty honking and the casual malice in those areas deserves a little recompense, but nothing this bloody and disturbing. The Silence is a horror film, a creature feature with a niche angle offering light commentary on the state of American life, and it’s actually quite successful for the first hour of its brisk 90 minutes. The once buried and awoken threat in this movie is invasive, predatory, and blind as a bat, yet would rank off the charts on a hearing test. They loom above, sweep down with sharp teeth and a carnivorous appetite at the drop of a hat, and breed with the speed of rabid rabbits. The only way to avoid being eaten alive is to not make a sound. 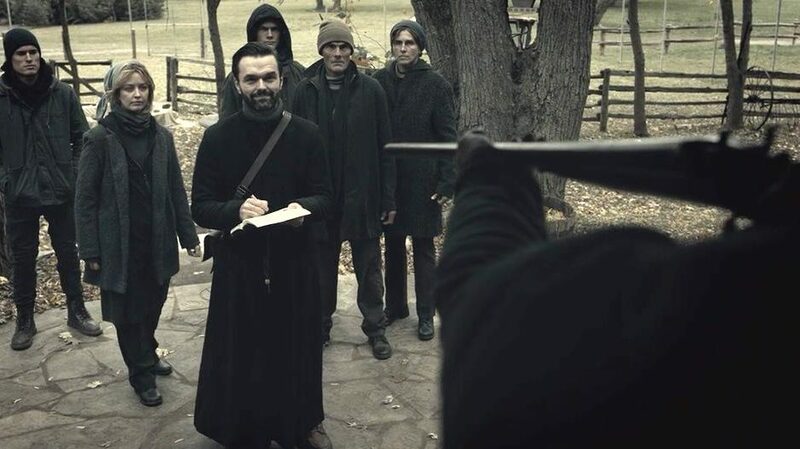 The Silence might have been a hit for Netflix had the same story not already been done by a previous picture with better direction, acting, and far superior writing. The movie is missing an artistic eye and touch. And then it goes off the deep end. Like I said, The Silence is actually really intriguing from the jump, and as a firm believer that A Quiet Place was one of the 10 best films of 2018, John R. Leonetti’s quaint movie adds scope and a bit too much smoke to a campfire story we’ve already heard. Yet the third act decimates what was previously thought to be good about this streaming option. It starts as a pastiche picture dedicated to honoring Hitchcock’s The Birds, then takes on the tone of A Quiet Place, and finishes by somewhat merging The Purge and Straw Dogs and religious fanaticism into one truly bizarre, serpentine final act. Like watching a veteran Olympic gymnast sprint towards the vault once more, The Silence has all of the right tricks in its repertoire and it knows how to use them. But boy oh boy does it fail to stick the all important, one-legged Kerri Strug landing. At least it’s competent and nowhere near as blatantly dumb as Bird Box.